Jim has been training in the martial arts since the mid 1980's. He has trained in freestyle karate (ECKA), Muay Thai, FMA (various styles), kickboxing as well as dabbling in various other martial arts over the past 30+ years. Jim has been teaching martial arts since 1990. He no longer teaches the following arts but has achieved a 2nd dan in Doce Pares Eskrima 2000, senior instructor rank of the AIM Academy 2000 as well as becoming an instructor in Senshido International 2013. 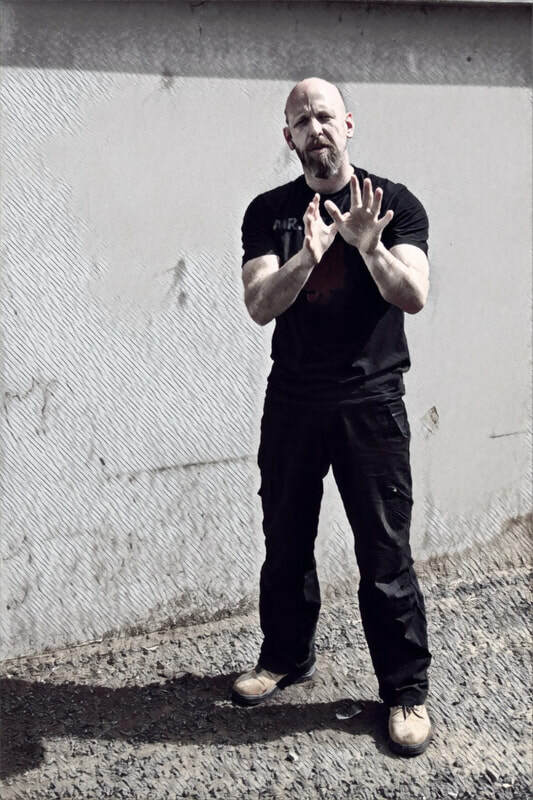 He teaches and is now an instructor in Nasubukang Arnis 2013, a 3rd generation full instructor in Urban Combatives 2018, the only Protect Self Defence Instructor in Australia, founder of BareBones Combatives as well as being the founder of Raw Combatives in 2004, along with Jeremy De Silva. Jim has had a few kickboxing fights, and has also stick fought in the Philippines, twice representing Australia, at the WEKAF world stick fighting championships in 1998 and 2000. Jim formed Raw Combatives in 2004 to bring all of his experiences under one roof. From its early days of being nothing more than a fight club where techniques and theories were tested to what it is today. It's a club where people can train in a safe, caring, fun filled environment where they learn not only great self protection skills and stick fighting, but more importantly learn a lot about themselves and how to improve on who they are.